Is Anil Kapoor defying the Laws of AGEING? Secret REVEALED! We would not judge you for thinking that Anil Kapoor is aging backward, especially after having a look at his latest picture. The 62-year-old actor, who has been defying the laws of aging, posed along with with the cast of the upcoming film "Malang". He looked so fresh and agile that he could give any of the younger actors a run for their money. And we dare you not to think that he is one of the sexiest man alive. Striking a pose and giving a hard time for the young actors Anil Kapoor has definitely stolen the spotlight and all the eyes are on him. 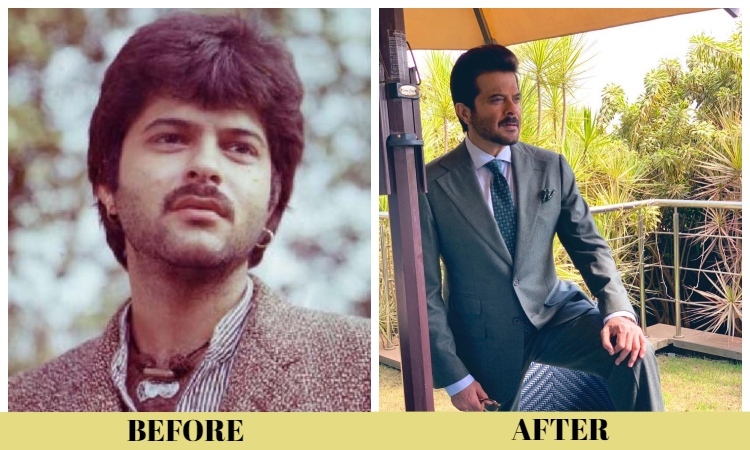 As a sea of memes hit the social media world on how Anil Kapoor is reverse aging in terms of his looks, the veteran actor says the secret to his youthful look at 62 is happiness "inside and outside". The photograph became fodder for social media users, who went gaga over how the "Dil Dhadakne Do" star is de-aging. In fact, some users drew a comparison between his old and new pictures, saying how he looks younger now than his younger self. When cricketer Harbhajan Singh joined Anil's fans in asking what the actor eats to look like a 26-year-old at the age of 62, Anil tweeted: "Happy on the inside and outside! The secret is a dedication and hard work (and a few cheat days.)" Some fans pointed out how Anil is "growing younger", others said Anil may soon act with Kareena and Saif Ali Khan's son Taimur and still look younger and some found humor in calling him a real-life version of "The Curious Case of Benjamin Button". 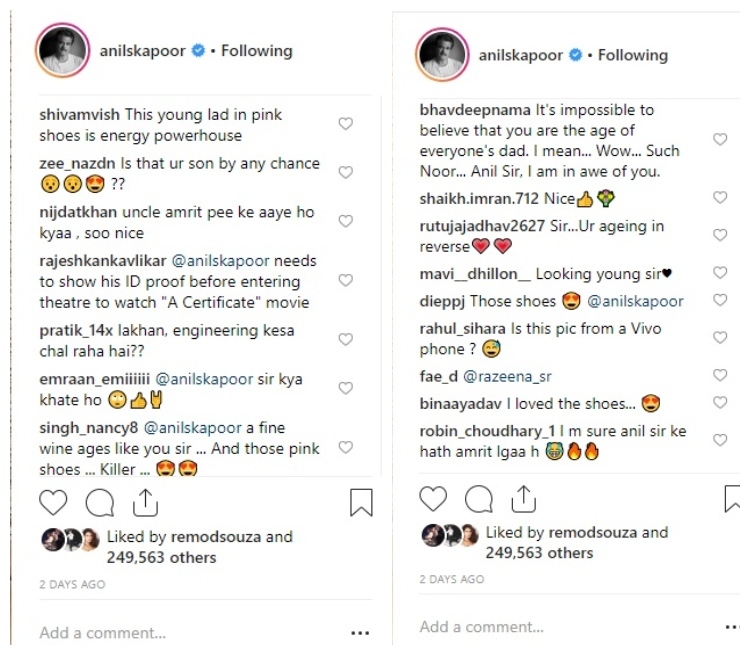 One user commented on how Anil could perhaps be seen as his daughter Sonam's son in a movie.